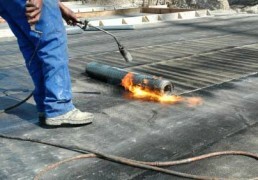 Torch-on membranes are extremely effective and can provide you with a good quality roof for years to come.Torch-on membranes can be applied to a wide range of roofs in a relatively straightforward manner. IKO’s range of torch-applied systems is second to none. Whether its oxidised bitumen, SBS or APP modified, for new build or refurbishment, there is a solution to meet every budget. IKO is a global leader in the manufacture and supply of quality roofing products including shingles, commercial roofing and asphaltic and bituminous waterproofing products. A family-owned company now for three generations, IKO intends to be around for many more. IKO products are found on distinctive residential, commercial and engineering structures in more than 50 countries. IKO SBS Sanded HP Top Layer consists of a polyester carrier coated with rapid flow SBS rubber modified bitumen. The upper surface is finished with fine sand and the lower surface has a sacrificial film which rapidly melts during the torching operation. IKO SBS T-O Cap Sheet consists of a polyester carrier coated with SBS rubber modified bitumen. The upper surface is finished with mineral granules and the lower surface has a sacrificial film which rapidly melts during the torching operation. 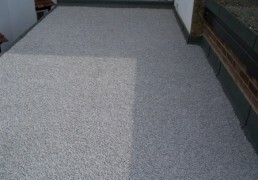 This product is used as an economical underlay (or intermediate layer) in a built-up felt roofing specification, and is usually fully bonded in hot bitumen. 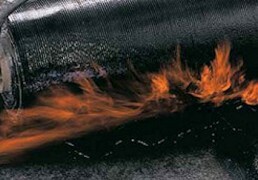 It is also used as an underlay to bitumen shingles in a pitched roof application. The Turbo Torch range of cap sheets and underlays has been specifically developed to provide the perfect combination of long term performance, ideal handling characteristics and rapid torch-on installation.